A San Jose neighbourhood was submerged in water after a creek overflowed, prompting a boat rescue of stricken people and pets, BBC reports. Dozens of residents of the Californian town were taken to safety, where they were rinsed down to prevent disease from the floodwaters. Five people stranded at a homeless camp were also rescued. Firefighters had to go from door to door to tell residents to get out of their homes. "This is like once-in-a-lifetime," said Bobby Lee, 15, as he looked at the water levels and the submerged cars. He was rescued from his home with his brother and his parents, taking clothes, electronics and photos with them. 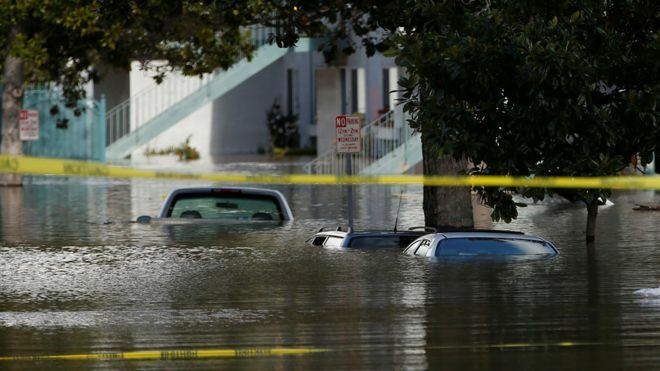 The rains that burst the river banks were the latest in a series of storms that have dumped huge quantities of water from the Pacific Ocean on California.